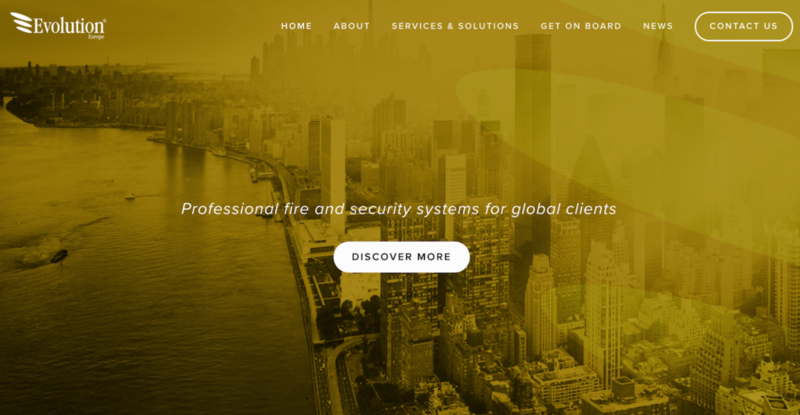 Evolution, the integrated security and fire solutions business, has launched a new website and marketing collateral as part of a brand refresh programme to coincide with the acquisition of its headquarters building in Buckinghamshire. The website and collateral make maximum use of striking new imagery using products in jars to denote the multiple sectors and industries in which Evolution has expertise: monopoly cards for utilities; light bulbs for power; nuts and bolts for manufacturing; a radioactive drum for nuclear; toy soldiers for military/defence etc. They also provide detail of Evolution’s core services and skills not only as a highly successful fire and security systems integrator, but also its specific expertise in Risk and Design. This includes providing ‘traditional’ consultancy services including the writing and implementation of dedicated policies and procedures where they don't currently exist or need updating. The company has also announced it will be buying its current headquarters as the main UK base (it currently has six offices in the UK and Ireland) to service its international clients. The headquarters also serves as a technical training centre for engineers and clients. Who has the oldest Buck & Hickman catalogue?